In 1900, the brothers Frank and Morris Eckhart took over their father's carriage company. 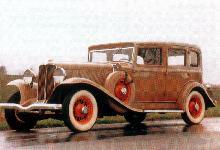 As early as in 1903, the fiftieth car was ready for delivery. 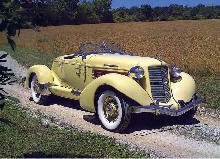 Compared to other makes of car the Auburn was nothing speical either in terms of appearance or in terms of technology. In 1924 the window pillars were shortened so that the roof could be lowered. Next the cars were re-sprayed in striking colours. 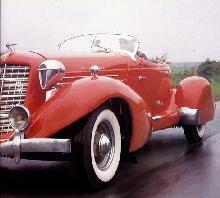 The Auburns now no longer looked anything like their boring predecessors and were sold in no time.